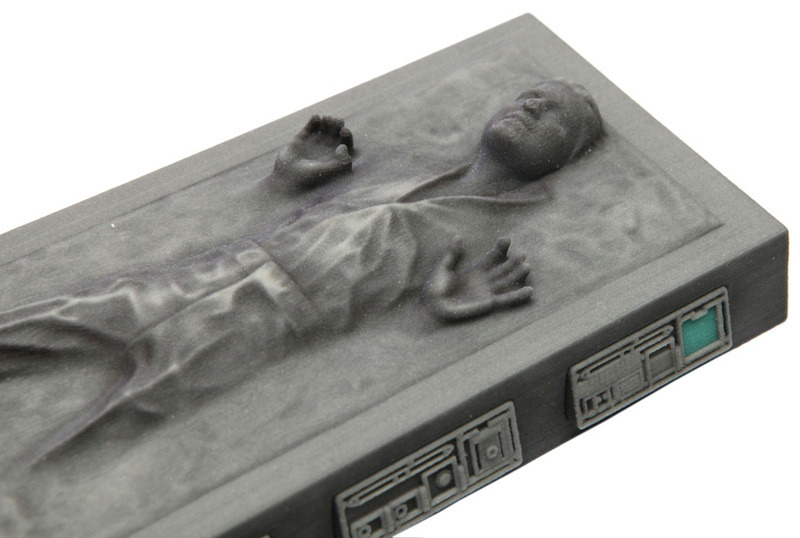 As a child, one of the most memorable scenes that I vividly remember from Star Wars: Episode V The Empire Strikes Back is when Captain Han Solo is frozen in carbonite on Darth Vader’s orders. I think I remember it because after seeing the movie, my parents bought me Boba Fett’s ship that contained a miniature version of Han Solo in carbonite. 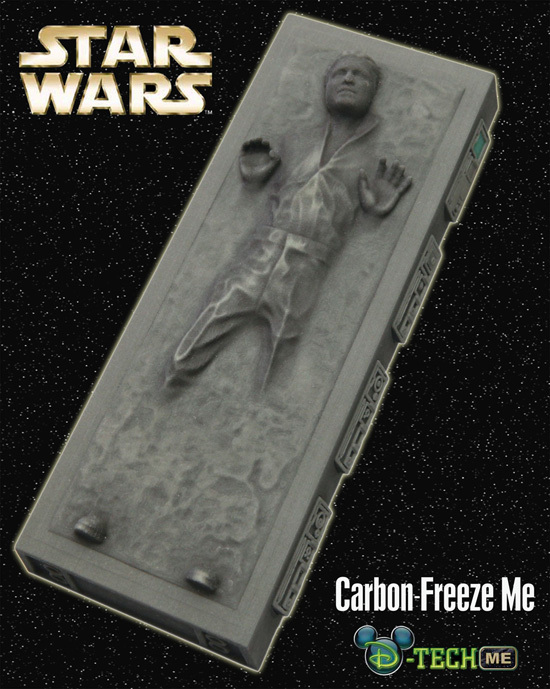 Coming this year to Star Wars Weekends at Disney’s Hollywood Studios, I will have the opportunity to relive that scene with the Carbon-Freeze Me experience. This new experience was created especially for Disney Parks, and is part of our “D-Tech Me” line that uses technology to take personalization to a whole new level (advance reservations are required. Please see below for details). Using state-of-the-art imaging technology, this experience casts your likeness as a three-dimensional, eight-inch figurine. At the Carbon-Freezing Chamber (located adjacent to The American Idol Experience), several cameras will capture multiple angles of your face. The images are then reconstructed in a computer for processing, and in approximately four weeks, the completed figurine is shipped directly to your house. I had my image captured during early tests for this experience, and it was surreal to see a digital version of my head. 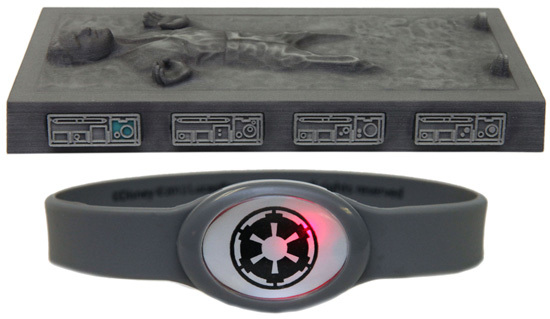 Each carbonite figurine is $99.95 (plus shipping). You can order additional figurines using the same image scan for $74.95 each. The replica figurine can be hung on a wall, just like the gangster Jabba the Hutt did in Star Wars: Episode VI Return of the Jedi (I plan on doing the same thing when I receive mine). Guests also receive a light-up wristband. The experience will officially open on May 18 with the launch of Star Wars Weekends. Reservations are required and can be made starting Monday, May 7 by calling 407-WDW-TECH (407-939-8324). Please note: Separate Theme Park admission required for Disney’s Hollywood Studios. No discounts apply unless otherwise noted. Guests must be at least three (3) years of age to participate. A valid accepted credit card number is required at time of booking. No-shows or in the event a reservation is cancelled within 48 hours of scheduled experience will result in such credit card being charged a $25 cancellation fee. The experience, due to its personalized nature is non-refundable and not eligible for an exchange. Children must be accompanied by an adult at least 18 years of age or older during the entire experience. Certain restrictions may apply. All prices, components and information are subject to change without notice. Posted in "disney world", "disney", "star wars"